Click here for information and a link to Federal Programs surveys. ​​The Education Secondary Education Act requires all states, including the State of Georgia, to establish state academic standards and a state testing system that meet federal requirements. It is built on four common-sense pillars: accountability for results; an emphasis on doing what works based on scientific research; expanded parental options; and expanded local control and flexibility. 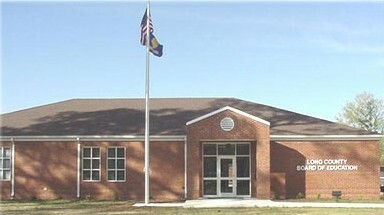 The Long County School System receives federal funds through the Georgia Department of Education to support and enhance the educational programs of the district. Federal program guidelines shape how the funds for the programs are used to help improve instruction for all students. Program planning and monitoring is data-driven with information obtained from test scores, surveys, classroom observations, and other data sources. The purpose of the Title I program is to meet the educational needs of all children in the school, particularly the needs of children who are failing or most at-risk of failing. The goal of the program is to ensure that all children have an opportunity to obtain a high quality education and to achieve proficiency on high academic standards. The purpose of the Title II program is to increase the academic achievement of all students by ensuring that all teachers are highly qualified to teach. The goal of the program is to hire highly qualified teachers and reduce class size as a means of raising student achievement in the academic subjects. The purpose of the Title III program is to improve the academic achievement of English Language Learners (ELL). It provides school districts with subgrants to provide supplemental services for ELLs. The purpose of the Title IV program is to support programs that prevent violence in and around school and illegal use of alcohol, tobacco, and drugs. The goal of the program is to involve parents, community, and resources to foster a safe and drug-free learning environment that supports student academic achievement. The purpose of the Title V program is to support school district efforts of improving and meeting the needs of all students including at-risk students. The goal of the program is to provide professional resources to support educational improvements. 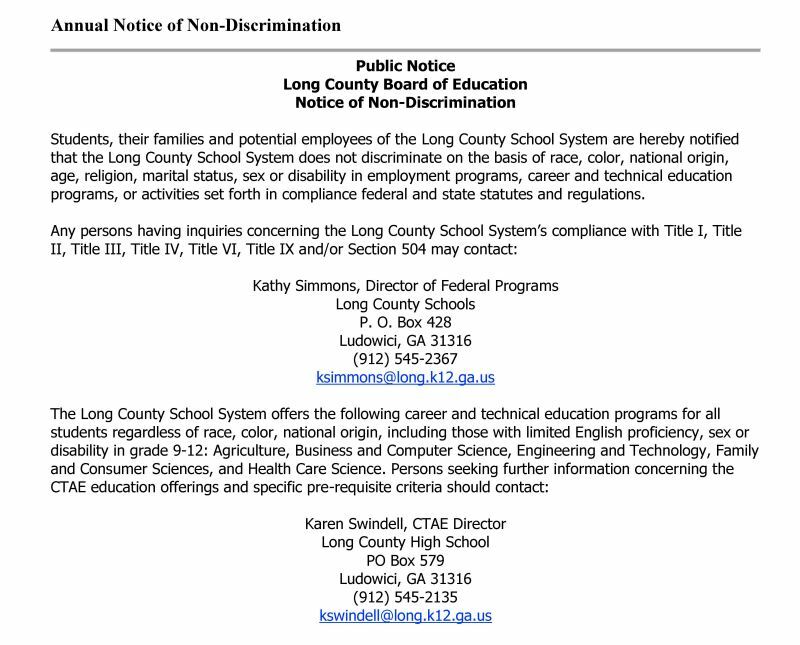 Prohibits discrimination based on race, color or national origin. A - Improving academic achievement. B -REAP is designed to assist eligible rural school districts with funds to support a broad array of local activities that support student achievement. The McKinney-Vento Homeless Assistance Act provides for the enrollment, attendance, and success of homeless children and youth. Prohibits discrimination based on gender. This website is an informational resource for parents, students, teachers and staff with a goal to provide relevant, accurate and timely information. Please feel free to email the webmaster if you have any updates, changes, broken links, or recommendations for improvement.